Gratian, his pearl diademed, draped and cuirassed bust right. D in right field, * delta SISC in Exergue. 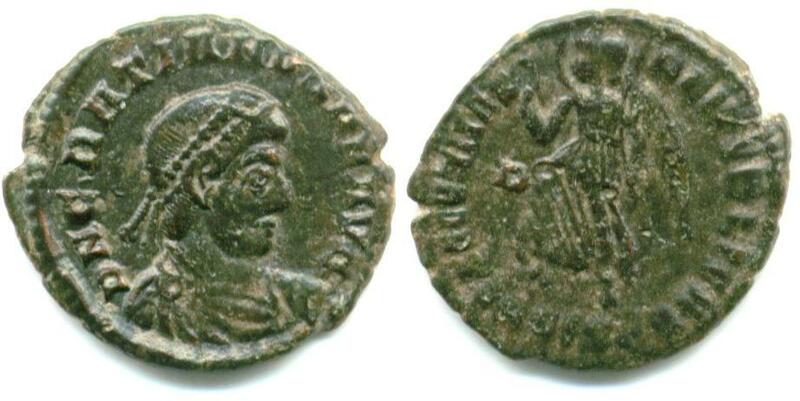 Van Meter, D., "Handbook of Roman Imperial Coins", p310, nr 45, variety Ol/1.